Paradigm Winery - Napa Valley Wineries - 1277 Dwyer Rd. 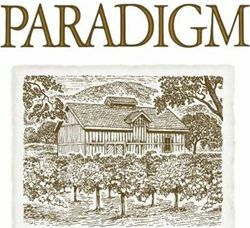 Paradigm Winery stands by the meaning of their name – a pattern or model, a pattern for perfection. For 29 years, they have been producing wines that are a rich expression of their vineyard. Located in the Oakville appellation of Napa Valley, they hand-craft small quantities of estate-bottled red wine. Purchased in 1976, they began producing wine with their 1991 vintage. They produce 6000 cases annually and sell the rest to friends and neighbors. Their wines are full of red and black fruit and known for their balance and ability to compliment a meal.